Most of you are most likely thinking “where the heck is Marshall, is that a man or a place? 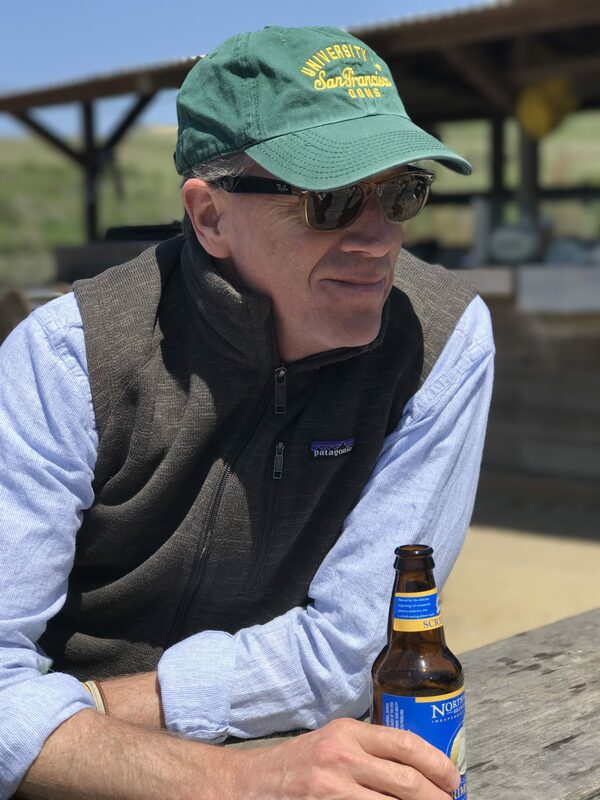 !” I thought the same before I took the 45 minute drive from the city to this charming little seaside town that literally has zero cell reception and feels like you’re driving through the back roads of Vermont in the summer – cows and all! 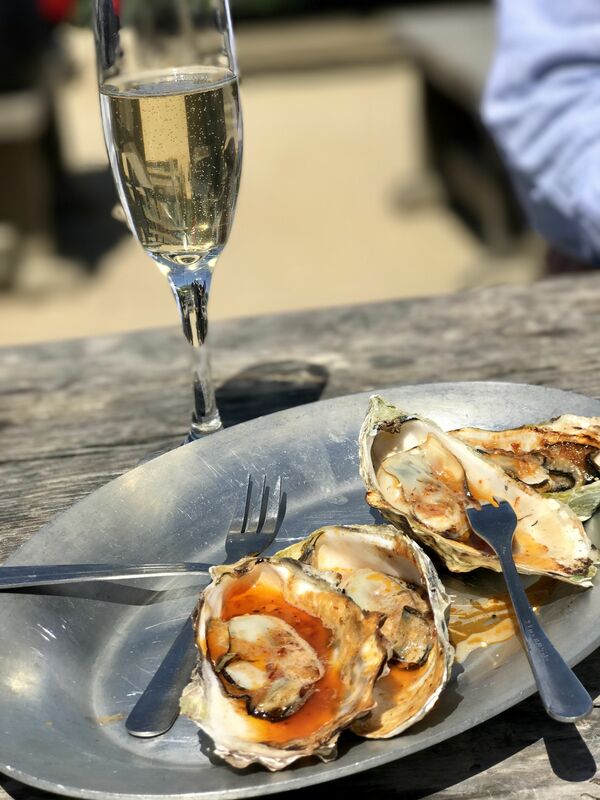 One of the main destinations in Marshall is the original Hog Island Oyster Co. You’ve probably been to the location in the city, or even the cute one in Napa, but the Marshall location is the OG of them all, and is an absolute must stop. 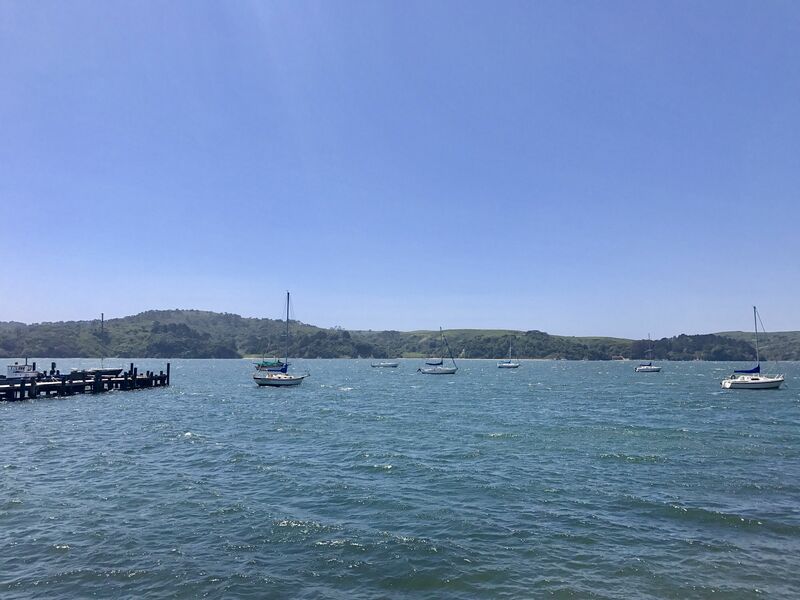 You can easily make a day out of your 45 minute journey to the waterfront restaurant, but there is so much more to do than just eat oysters all afternoon. 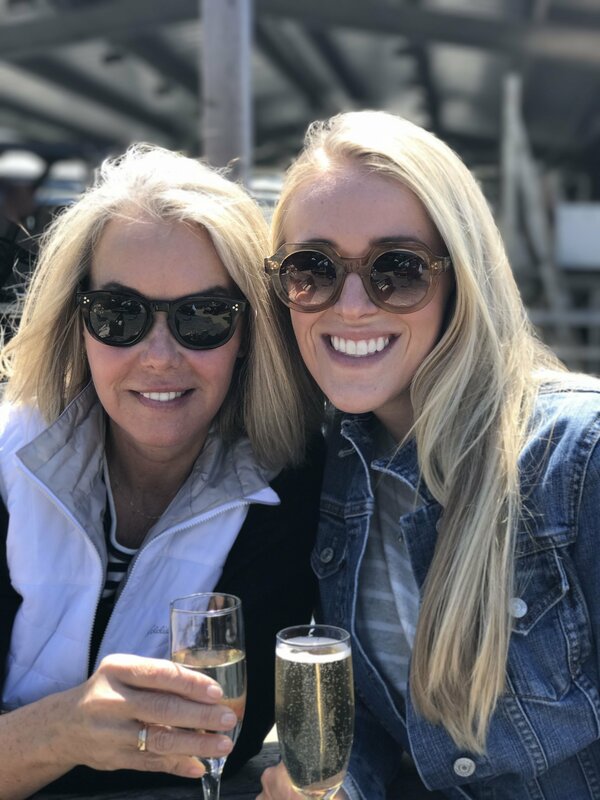 Of course, you can do just that too..
First stop, Hog Island Oyster Co.! When I say they don’t have cell service, they REALLY don’t have cell service, so plan your day ahead and have maps on right when you leave the city. Don’t expect to be calling an Uber to your next destination, those things don’t exist out here! I recommend making a reservation beforehand. We made that mistake our first time here, and were stuck in the corner eating our cheese plate off an old barrel 🙂 Let’s just say the boy didn’t hear the end of that one! 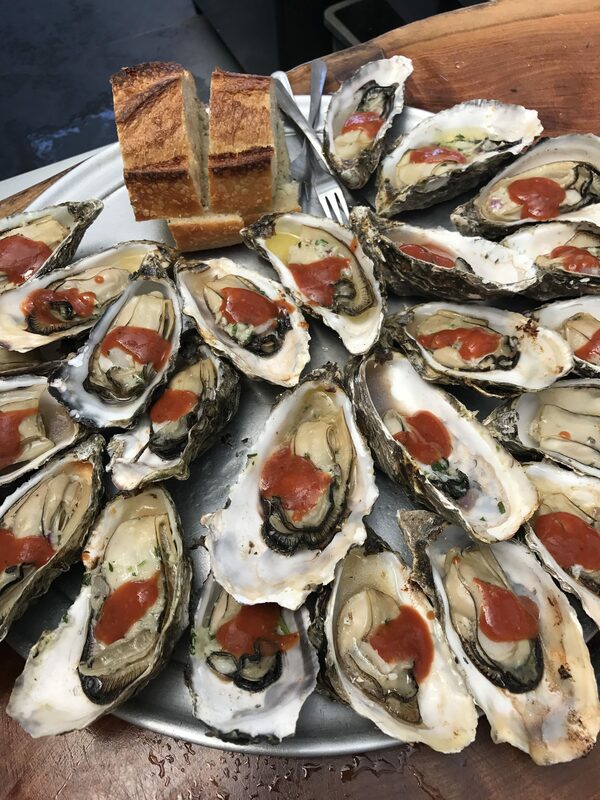 You can either reserve a table with wait service, which is what we did our next time there via OpenTable, or you can reserve a table to bring your own picnic and shuck your own oysters. Such a great idea for a birthday, it’s definitely on my list to do with a big group of friends! 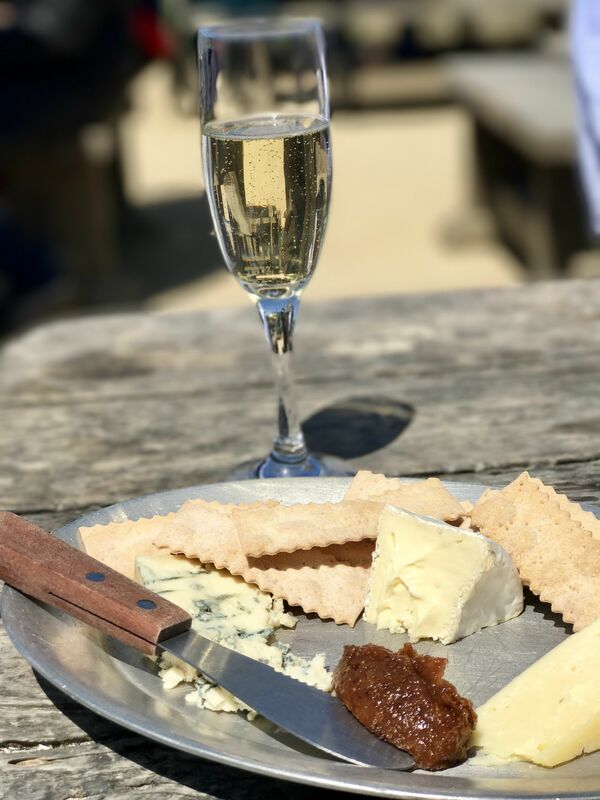 Another fun stop right after The Marshall Store is Point Reyes Vineyards, which will make you feel like a baller compared to Sonoma/Napa wine tastings with a generous tasting offered for only $10! Not the best tasting you’ll ever have, but fairly good sparking wine and hearty reds make any afternoon a great one. It’s also a cute little store, and the local wine makers are super friendly. Our waitress at Hog Island told us about a mead tasting room thats inside a green house, also right outside of downtown Pt. Reyes Station, called Heidrun Meadery. Can’t wait to make a stop there next time. Post wine, oysters and cheese, make your way into downtown Pt. Reyes Station, which is on the way when heading back to San Francisco. Downtown Pt. Reyes is very close to Marshall, and is home to a sleepy little town with an adorable trinket shop I never miss stopping at and a coffee bar, Toby’s. After browsing through Toby’s, head over to Bovine Bakery for a chocolate chip cookie the size of your head. Finish off your afternoon at Cow Girl Creamery, and head home with some local cheeses (I love the Humboldt Fog) and gourmet snacks!